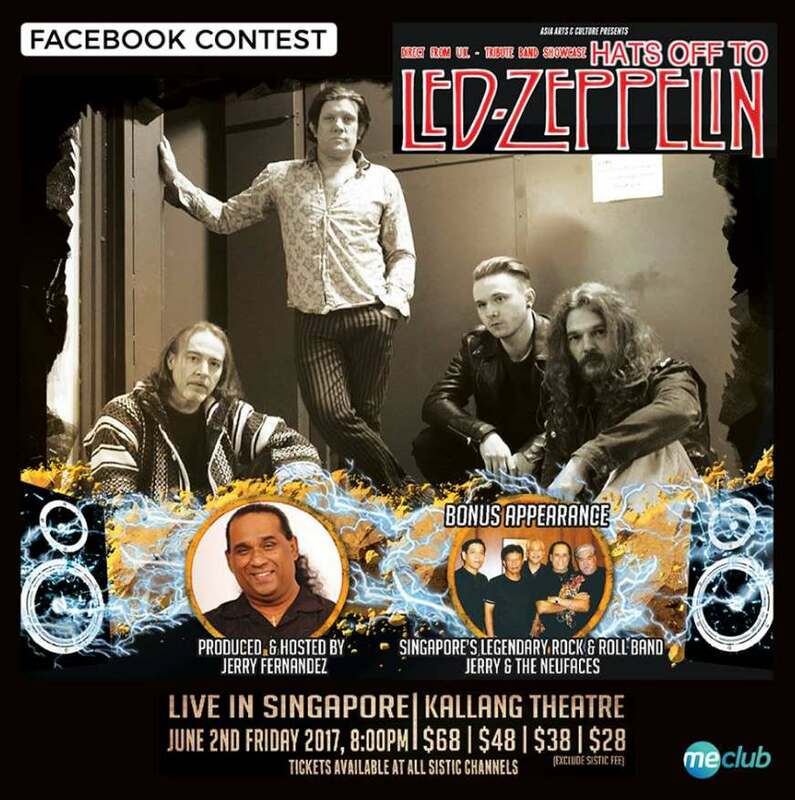 GIVEAWAY: We’ve got 11 pairs of tickets to Hats off to Led Zeppelin‘s One Night only concert that’s happening on Friday, 2 June, 8:00PM at the Kallang Theatre! If you’ve missed seeing the real deal in action, the tribute band (also the UK’s official No. 1 tribute to the Gods of Rock ‘n’ Roll) will be tearing up the stage with classics like Immigrant Song, Whole Lotta Love and Stairway to Heaven. To win, simply like MeClub’s facebook page, share this post, and tag a friend you would like to bring along (and why) in the comments section below. The contest ends 17 May 2017, 10:00AM. Good luck!